How Much Should a Beagle Eat a Day? Your Beagle is a smaller dog that is full of energy and has a friendly and outgoing personality. Keeping this dog full and happy can be a challenge if you don't know what the best dog food for Beagles is, and we want to help. We've put together a comprehensive buyer's guide that will list essential things that you want to keep in mind when you're shopping for your dog's food. 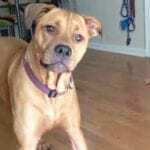 We also picked the six best food choices available because we want you to be able to compare them and see which one is going to work best for your dog to keep them happy and healthy throughout their lives. The Beagle is a smaller breed of dog that has a long history of being very active and of being an excellent hunting dog. They usually stand between 13 and 15 inches high with males being slightly larger. They weight between 20 and 25 pounds. Along with the recommended percentages above, there are several things that you want to see listed on your dog food bag. The following ingredients can help keep your Beagle healthy by helping to prevent health problems. Having easily digestible carbohydrates that are low in fat can help to keep your dog full throughout the day without adding extra calories. Make sure that you look for a food that features starchy vegetables like potatoes, pumpkin, or peas over wheat or corn because these refined carbohydrates can cause allergies or problems for dogs with sensitivities. Fatty acids like you'd find in flaxseed oil or fish oil are very important for high energy breeds like Beagles because they help to keep your dog's skin and coat healthy. Your dog food should have Omega-3 and Omega-6 fatty acids listed, and this is especially important for older dogs because it supports joint health and immune health. Even though your dog's body naturally produces these things, you want to help to protect their joints as they age so your dog can stay active and happy. Having both Glucosamine and Chondroitin right in their food can give their systems a boost and ensure that their joints stay fluid. Many dog foods are starting to add probiotics into their formula because probiotics are food for the "good" bacteria that help to move your dog's digestive system along at a steady pace. 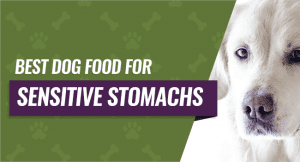 They're a great additive for dogs who have issues with constipation or bloating. No matter which type of dog food you buy, you want to see a real protein source listed on the bag as the first ingredient. Protein will help to fuel your dog and provide support for their muscles, and this means that you want a quality protein like fish, chicken, or lamb. Artificial Colors, Flavors, or Preservatives: These artificial ingredients basically make your dog's food look good, taste good, and last longer. However, they can cause several problems for your dog including itchy skin, gas, dull coat, diarrhea, and thinning coat. Disproportionate Ratios: You want your dog's food to have proportionate ratios of fats, carbohydrates, and protein. Having uneven levels can cause issues like weight gain, low energy, unhealthy coat, and reduced muscle mass. Unhealthy Fillers or By-products: Fillers and by-products are typically empty ingredients that don't offer any nutritional value for your dog. They can potentially cause bloating or gas because they go right through your dog's system. 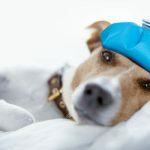 Wheat, Corn, and Soy: Many dogs have allergies or sensitivities to the corn, wheat, and soy in their food that can cause itching and digestive upset. Additionally, these ingredients can be more difficult for your dog to digest or break down. 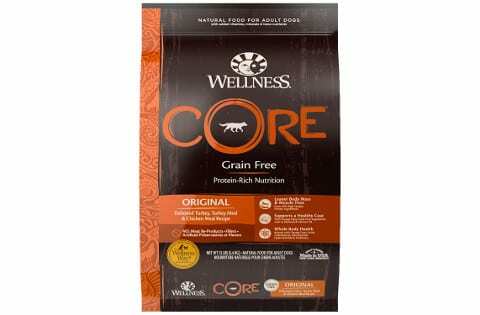 Wellness CORE Natural Grain Free Dry Dog Food is grain-free and does not contain corn, soy, wheat, artificial flavors or colors, preservatives, and meat by-products. This premium dog food is ideal for adult beagles because they may develop food sensitivities as they age. This formula contains Omega-3 and Omega-6 and living prebiotics and probiotics. The Omega-3 and Omega-6 fatty acids promote healthy skin and coat. The live prebiotics and probiotics aid in proper digestion. Antioxidants are derived from real fruits and vegetables to strengthen your dog's immunity. High-quality proteins and complex carbs used in this formula help your dog maintain a healthy weight. These ingredients provide a sustainable source of energy. This formula includes chondroitin and glucosamine. These vitamins promote healthy joint function. A few customers stated that their picky dogs would not eat this food; however, it is not the brand's fault. Customers whose dogs enjoy this food indicated that they had seen weight loss in obese dogs and shinier coats. 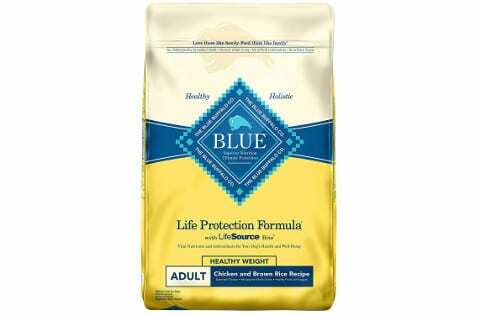 Blue Buffalo's Healthy Weight recipe is designed to taste great while providing your dog with essential nutrients. This formula is an excellent option for owners of senior dogs. Seniors are more likely to gain weight since they are less active. It can be difficult to adjust their food accordingly after being fed the same amount for years. This food helps dogs maintain their weight while eating the same amount. Deboned chicken is the first ingredient listed. The high amount of protein keeps your dog full for longer. Complex carbohydrates, such as whole grains, used in this formula keep your beagle active. When brands use fillers as main ingredients, your dog remains sluggish throughout the day and becomes hungry much faster. 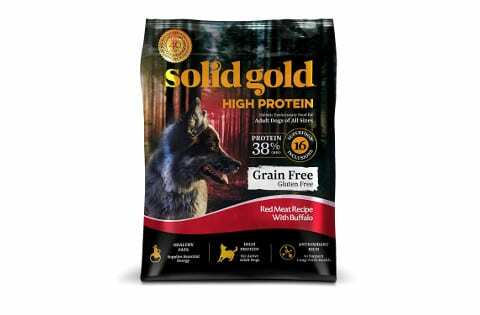 A small number of purchasers reported that their dogs did not enjoy this food, while some people have reported inconsistencies in the formula of the bags they purchase. However, most pet owners whose dogs enjoy this food reported weight loss among overweight dogs and proper weight management in senior dogs. Orijen is a premium dog food, and the Six Fish Grain-Free formula is an excellent choice for a beagle puppy. The macronutrients are ideal for beagles of all ages. This formula includes 38 percent protein, 18 percent fat, and 4 percent fiber. The proteins listed are whole Atlantic mackerel, flounder, monkfish, silver hake, redfish, and herring. It is grain-free and ideal for dogs with allergies as it excludes many allergens. Since this formula includes multiple fish, there are high levels of Omega-6 and Omega-3 fatty acids. Fatty acids promote healthy skin and a shiny coat. There are many vegetables and fruits in this formula, including pears, apples, pumpkin, carrots, and collard greens. Orijen contains chondroitin and glucosamine to promote healthy joint function; as such, this is an excellent choice for puppies, adults, and seniors alike. Pet owners reported that while this formula contains carrots, it does not provide enough additional ingredients such as blueberries and sweet potatoes to improve eye health in beagles with poor eye health. Some customers have reported weight gain among inactive beagles since this food is high in protein. Overall, most pet owners state that their dogs enjoy the taste of this food and it provides excellent health benefits. Solid Gold has operated for over 40 years, which is much longer than most American manufacturers. Unlike most brands, they take a holistic approach to your beagle's nutrition. Solid Gold's High Protein formula is ideal for hunting beagles. It is available in three flavors: duck, buffalo, and salmon with krill. All formulas have a minimum of 38 percent protein as well as 16 superfood inclusions. The superfoods help support long-term health which is vital for hunting beagles. The healthy fats and high protein content provide sustainable sources of energy. Despite having a high protein content, this formula has reduced calories and low carbohydrates. It provides essential dietary fiber while promoting gastrointestinal health. Many pet owners reported that this formula helped their dog's allergies clear up, improved their pets temperament, and promoted a shiny coat. However, a few customers stated that they received bad batches that upset their dogs' stomachs. Natural Balance Original Ultra Whole Body Health contains high-quality protein sources and carbohydrates. It is ideal for beagles that need weight management. The small bites help your dog eat less. Each kibble is enriched with phosphorous and calcium to support healthy teeth and bones, which is necessary for beagles as they tend to have sensitive joints. It contains taurine for healthy heart function as well as eye function. Omega-3 and Omega-6 are for a healthy coat. This formula is ideal for heavy puppies, adults, and seniors that need assistance losing weight. It does not contain any artificial flavors or colors. Many pet owners reported that this food is easy on their dogs' stomachs and it is excellent for calming runny eyes. A few customers stated that they love the ingredients listed; however, their picky dogs will not eat the food. This formula lists venison and lamb, which are easily digestible novel proteins. It also includes egg, ocean fish, and duck. Novel proteins are ideal for beagles with protein-related food sensitives. Taste of the Wild Appalachian Valley is formulated with probiotics and prebiotics to keep your beagle's digestive system healthy. This formula is grain-free making it an excellent choice for beagles with sensitive stomachs. The tiny kibble is natural for smaller mouths to chew and enjoy. Many customers adore this product as their dogs happily chow down on this food during meal times. One customer mentioned that this food smells meaty and real, unlike other brands. A few customers stated that the bag quality is inconsistent, causing loose stools occasionally. 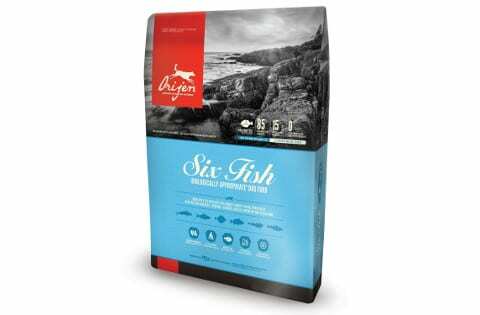 Overall, Orijen Six Fish Grain-Free Dry Dog Food is an excellent choice for active beagles of all ages. Since this formula is all-life stages, your puppy is able to continue eating this as they grow. High-quality proteins are listed first. This formula is enriched with Omega-3 and Omega-6 along with glucosamine for healthy joints and skin. It has plenty of fruits and vegetables so that your beagle gets all the nutrients they need. However, the high protein content may not be ideal for inactive senior dogs.